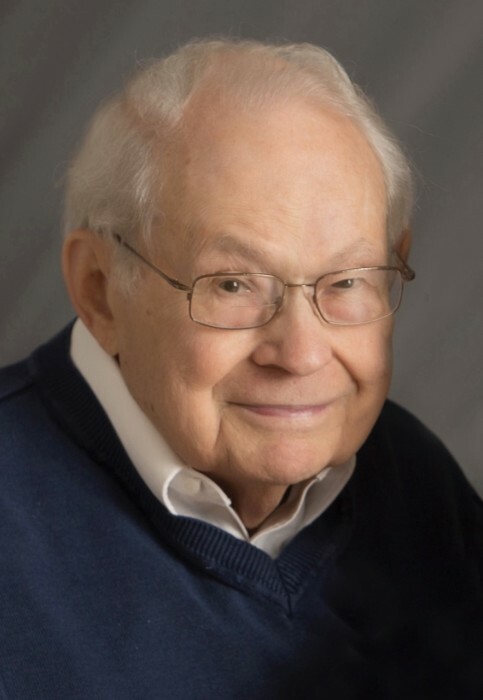 Dr. David O. Morgan D.D.S., 94, formerly of Delphos, passed away on March 17, 2019, in Ft. Wayne. He was born on May 22, 1924, to David Stanley and Elizabeth Mary (Jones) Morgan in Oak Hill, Ohio. He was united in marriage to Marylou Romig on August 6, 1950, in Lima. She survives in Ft. Wayne. He is survived by his children, Hugh Owen Morgan of Delphos, Beth Ann Morgan Marks of Ft. Wayne, and Gwen Ellen Morgan of Columbus; grandchildren, Brian Marks of Garden Grove, CA, Megan and Melissa Marks of Ft. Wayne and Tristan Kueper of Columbus; a sister, Elizabeth Ann Schwartz of Milford, MI; a nephew, Charles Schwartz of Phoenix, AR and nieces, Diane (Jeff) Steslicki of Milford, MI, and Debra (Charles) Collins of Adrian, MI; additional family members, Brenda (Roger) Valliere of Ft. Wayne and their sons, Jeffrey of Fort Wayne and Nicholas of Indianapolis; and numerous great nephews and great nieces. He was preceded in death by his parents, and a brother-in-law, Charles Schwartz. Dr. Morgan graduated from Oak Hill High School in 1942, went on to attend Ohio State University, and participated in the ROTC program. He graduated with a degree in dentistry in 1947. He practiced dentistry in Van Wert prior to serving in the Air Force which saw him stationed at Pope Air Force Base in North Carolina and later at Tachicawa, Japan, where he was serving as a dentist during the Korean War. He was discharged from the service in 1953 having earned the rank of Captain. Dr. Morgan had a dental practice in Delphos, Ohio for more than 60 years where he not only took care of many patients but also got to know them and their families throughout the generations and loved hearing about their lives. He retired in 2014 after 64 years of practicing dentistry. He was a member of the First United Presbyterian Church in Delphos, the Boy Scouts, Delta Sigma Delta, the American Dental Association, Ohio Dental Association, North West Dental Society, the Delphos VFW Post 3035, the American Legion #268, and a very involved member of the Van Wert Elks #1197. He was also an enthusiastic traveler and had been to many locations across the United States and throughout the world. Funeral Services will be on Saturday, April 13, 2019 at 3:00 p.m. with visitation from 10-12 and 1-3 at Harter and Schier Funeral Home. Pastor Harry Tolhurst will officiate. Burial will be at a later date. Memorial contributions may be made to The First United Presbyterian Church of Delphos or Heartland Hospice in Ft. Wayne: 1315 Directors Row, Suite 210.